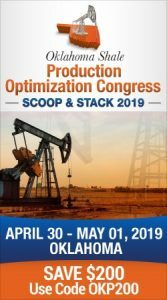 Oklahoma Congressman Markwayne Mullin showed he’s a big fan of Oklahoma’s wind industry with a tweet on Tuesday. The tweet also linked to Budweiser’s announcement of its endorsement of wind power from Oklahoma. 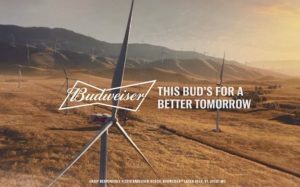 Budweiser has released its Super Bowl LIII commercial, bringing its long-term commitment to renewable electricity to the biggest stage of the year. To further emphasize the importance of Budweiser’s commitment, the company is donating clean electricity to Atlanta to power the city during the week of Super Bowl. In turn, Bud is offsetting 100% of the electricity used to power Super Bowl week with clean, renewable electricity. The electricity is coming from Enel Green Power’s (EGP) Thunder Ranch wind farm in Oklahoma. EGP is selling the energy produced by a 152.5 MW portion of the 298 MW project, which began operations in 2017. In 2017, Anheuser-Busch InBev announced a global commitment to secure 100% of the company’s purchased electricity from renewable sources by 2025. The beer maker joined The Climate Group and CDP’s RE100, a global initiative of influential businesses that are all committed to using 100% renewable electricity. Last January, Budweiser also announced new labeling indicating a beer has been brewed using 100% clean energy. The creative for Budweiser’s commercial is led by DAVID the agency, based out of Miami.